Disappointed by the one-sided and narrow approach to economics teaching at most universities, students and young scholars created the online learning platform Exploring Economics, a virtual university for pluralism in economics. The platform’s mission is to offer an alternative to neoclassical teaching by presenting theories and themes of different economic schools of thought. It has a unique way to systematise the diversity of economic approaches by comparing theories based on scientific categories, which are visualized in graphs. The platform consolidates materials such as videos, texts and dossiers which allow a creative analysis of economic issues surrounding inequality, financial crises, money and debt, and the environment and resources, to name a few. Exploring Economics strives to enrich economic teaching as well as to promote self-criticism, reflection and openness within economics. 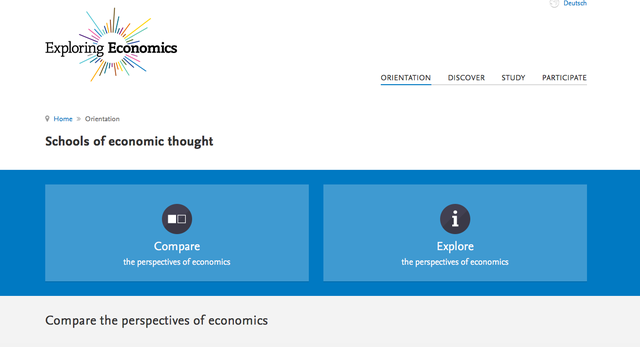 As an open educational resource, the use of Exploring Economics’s material is free of charge. Since the launch of Exploring Economics in December 2016, we received terrific feedback and had more than 41,000 pageviews in the first month, as well as visitors from over 160 countries until now. Professors around the world have recommended Exploring Economics to their students and some have integrated the platform into their curriculum. In addition, Exploring Economics has organized an international writing workshop for students and young scholars, and has begun cooperating with two universities and the Summer Academy for Pluralist Economics. With the initial target of € 20,000 we will be able to finance Exploring Economics and carry out the following activities until December 2017: integrate new materials and courses into the website, expand our partnerships with universities and offer writing workshops on plural economics for students and young scholars. In order to achieve this, we need financial support for the IT infrastructure, the employees who maintain and update the website, and coordinate volunteer work and partnerships, as well as funds to support the writing workshops. The aim of a writing workshop is that the participants critically deal with current problems in the economy and society and analyze them from the perspective of different economic schools of thought. These reflections lead to the creation of an essay, text, video or podcast, which is published on Exploring Economics. And what if we raise more money?Each additional € 66,66 will be used to finance another day of keeping Exploring Economics active and updated from January 2018 onwards. If we reach € 22,000.00 we will be able to carry out an additional writing workshop on pluralist economics for students and young scholars. If we reach € 28,000.00 we can finance the operation of Exploring Economics for the first three month of 2018 (January - March) and an additional writing workshop. If we reach € 34,000.00 we can finance the operation of Exploring Economics for the first half of 2018 (January - June 2018) and an additional writing workshop. You can help us out by spreading the campaign with the assets you will find in our Mobilization Kit. 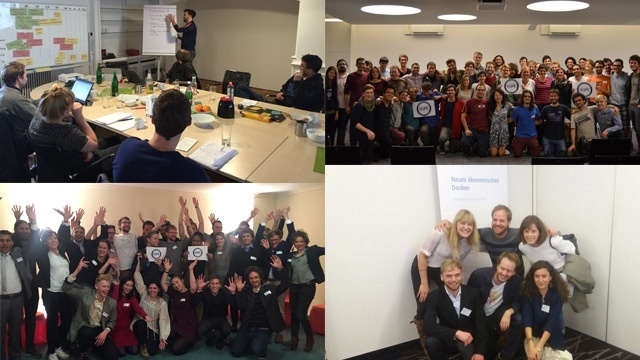 Exploring Economics was born in 2015, as the idea of a group of students and young scholars from the German-speaking Network for Plural Economics (Netzwerk Plurale Ökonomik) which forms part of ISIPE, the international student mouvement for pluralism in economics. When the founders saw that their economic teaching at university had little to say about what they observed in their daily lives or in regards to global challenges such as rising inequalities, economic crises, climate change, they realised they had to create and compose a virtual university to provide the space for critical economic thinking they wished they had. So that was why, some fiveteen students and young scholars joined together and started to meet in order to conceptualize a virtual university for plural economics. What started as a first informal scattered meeting, became a project with a heavy workload that incorporates many people. Thanks to the funding of a German public research institution, the Institute for Societal Advancement (FGW) and the Macroeconomic Policy Institute (IMK), it was possible to employ a small team, to pay the coding of the webpage and eventually to launch the platform in December 2016 after a year of intense work. What is the mission of the project team of Exploring Economics? To reach more students, lecturers and interested people in order to, eventually, change economic teaching into an economics where people and the planet actually matter. 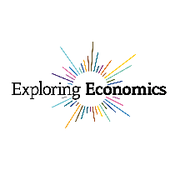 You will become a part of the Exploring Economics crowd and stay up to date with our newsletter. You will receive about four newsletters per year to see what we have been able to accomplish thanks to your support. You will receive a digital photo from our team with special greetings because your support enables us to pluralize economic thinking. You will enjoy Exploring Economics’ personal recommendations, our favourite readings & videos from the platform to study pluralist economics, via email. You will become a real part of the movement with a one-year membership to our association, the (German-speaking) Network for Pluralist Economics. The Network would be happy to welcome you backstage, where you can get total insight, meet other members, or actively join current projects and working groups. After one year, the membership will be cancelled automatically, but it can be extended upon request (price for the second year: 30 EUR, students 15 EUR). You will become a real part of the movement with a one-year sponsoring membership to our association, the (German-speaking) Network for Pluralist Economics. Thanks you, you show us your special support! The Network would be happy to welcome you backstage, where you can get total insight, meet other members, or actively join current projects and working groups .After one year, the membership will be cancelled automatically, but can be extended upon request. You will become an official supporter of the project and your name will be published on the Exploring Economics website, because we want to make your generosity visible. We will publish your personal name, but no institutions or associations. Your support deserves an individual thank-you, so we would love to invite you to a (virtual) cup of tea with a project member of Exploring Economics. In person or via skype (depending on where you live) we would love to tell you the story of our project and also hear about your experiences with mainstream & pluralist economics. You will receive your own talk on pluralism in economics by a member of the Network for Pluralist Economics. We will visit you and your personal crowd (virtually) to discuss the ideas of our movement. You have the chance for an own tailored (virtually) one day seminar on pluralism in economics offered by a member of the Network for Pluralist Economics. We will take into accounts your personal interest to understand and to discuss the ideas of our movement. Are you an association, a private company or a sponsor? Do you like the project and would you like to be part of it? Contact us!